How Many Doctors Does It Take to Diagnosis an Autism Spectrum Disorder (ASD)? 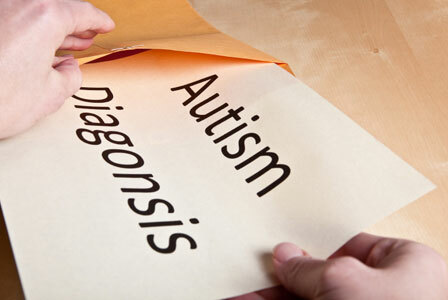 How many doctors does it take to diagnose an autism spectrum disorder (ASD)? This is a question that many parents continue to ask in response to their frustration with the diagnostic process. For example, a survey of more than 1,200 families in the United Kingdom found that only 8 percent of families received a diagnosis for their children upon their first clinical visit; 40 percent received a diagnosis by the second clinical visit; and 63 percent finally received a firm diagnosis by their third clinical visit. In many instances, parents waited more than 5 years before a diagnosis was confirmed. A recent survey of parents of school-age children with ASD across five countries (including the US) found an average diagnosis age of 7.5 years and a consistent concern with the timeliness of identification and frustration with the delay in accessing services. Parents reported visiting, on average, between four and five clinicians en route to an ASD diagnosis. Some participants responded to our question with comments such as “too many to count.” The number of professionals visited did not differ significantly based on child’s gender, race, or type of ASD diagnosis. Child diagnostic age was positively correlated with the number of professionals seen during the process of obtaining a diagnosis. In effect, the more professionals a child saw during the process, the older he or she was when finally receiving the diagnosis. Despite the fact that the diagnostic age is decreasing, just over 40 percent of parents reported that they were not satisfied with the diagnostic process. In fact, the more professionals that families saw on their journey to a diagnosis, the more negatively parents viewed the experience. Parents were more satisfied with the diagnostic process when they saw fewer professionals to get the diagnosis and when the children received diagnoses at younger ages. So, what are the implications? A late diagnosis postpones the timely implementation of intervention services and may contribute to parental distress in coping with an ASD. It is well established that early interventions for children with developmental disabilities are important in increasing cognitive, linguistic, social, and self-help skills. Assisting parents to develop effective management techniques is also likely to avoid or minimize the potential for secondary behavioral and emotional problems. Importantly, because more capable children with ASD are likely to be educated in general education classrooms, delayed recognition of their problems can result in the implementation of ineffective or inappropriate teaching methods that fail to address the core social-communication deficits of ASD. Delays in diagnosis and identification also have wide implications for families. It is now accepted that autism is most likely among the most heritable of all childhood disorders and that for any family with a child with ASD, there is considerable risk that other children in the family may have social, language, or other neurocognitive problems. Family histories of autism or autistic-like behavior or having an older sibling with autism are known risk factors. A delay in identification may result in siblings with the ‘broader phenotype’ being overlooked and as a result, not receive the help needed to address their problems. Although further research is necessary to identify what additional factors make the diagnostic experience a negative one for so many families, it is clear that better screening and identification practices are needed. Parents are frequently faced with a slow and frustrating period of uncertainty and worry and find themselves in the position of trying to convince their children’s doctors that there is a need for a specialist assessment. Several studies that have qualitatively examined parents’ views on the diagnostic process have noted a tendency for some physicians to minimize or dismiss parents’ concerns about their children’s development and, instead, to encourage them to wait for their children to “out grow” their problems. Although the average age at which autism is diagnosed has decreased in recent years, families have continued to describe a significant struggle during the process of obtaining an autism diagnosis. Unfortunately, many pediatricians, clinicians, and educators take a “wait-and-watch” approach and may not recognize the early red flags. Although no two children are alike in terms of their development and behavior, best practice requires that a standardized screening tool be administered at any point when concerns (red flags) about ASD are raised by a parent or teacher or as a result of school observations or questions about developmentally appropriate social, communicative, and play behaviors, or where there is a family history of autism or related disabilities. Parents should also continue to be vigilant and keep an ongoing record of behavior that appears atypical or concerning. This information can be very useful in any future assessments. Wilkinson, L. A. (2010). ABest Practice Guide to Assessment and Intervention for Autism and AspergerSyndrome in Schools. London: Jessica Kingsley Publishers. Palm Beach County school psychologist, Lee A. Wilkinson, PhD, will present a skill-building workshop adapted from his award-winning book, Autism and Asperger Syndrome in Schools: A Best Practice Guide to Assessment and Intervention, at the 38th Annual Conference of the Florida Association of school Psychologists (FASP). 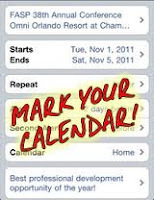 The Conference will take place from November 1st through the 5th at the Omni Orlando Resort at ChampionsGate, 1500 Masters Blvd, ChampionsGate, Florida 33896. Breakout sessions begin on Tuesday, November 1st thru Wednesday, November 2nd, with Featured Presentations to follow on Thursday, November 3rd. Continuing education credits (CEUs) will offered for Dr. Wilkinson’s workshop as well as a number of other presentations. Join FASP for the BEST professional development offering for school psychologists in Florida...Register Today! Dr. Lee A. Wilkinson, Palm Beach County school psychologist and award winning author will discuss his book, “A Best Practice Guide to Assessment and Intervention for Autism and Asperger Syndrome in Schools,” on WJTW radio’s “Book Corner” with host Sharon Dunn airing Friday, September 16th through Sunday, September 18th at 8:20am, 2:20pm and 5:20pm at 100.3 FM, or online at wjtwfm.com. 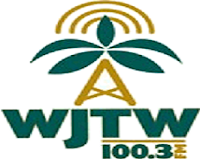 Tune in to hear the Dr. Wilkinson discuss the prevalence of autism spectrum disorders in our schools, educational planning for students with ASD, and practical and useful resources for both parents and professionals. Dr. Wilkinson is the author of the award-winning book, A Best Practice Guide to Assessment and Intervention for Autism and Asperger Syndrome in Schools, from Jessica Kingsley Publishers. His work was honored with a gold medal in the 2011 Next Generation Book Awards Education/Academic Category and finalist awards for the 2011 National Association for Special Educational Needs (NASEN) Educational Needs/Academic Book of the Year and 2010 National Best Book Awards.